What do Bella Hadid and Selena Gomez have in common? (Aside from both winning the heart of The Weeknd, of course.) These celebs wanted to go short, but not too short -- so they opted for a lob. It's not just ladies who date The Weeknd that are all over this trend, though. Check out our favorite celebrity lobs that are too chic not to copy. This blunt lob barely brushes Bella's shoulders but looks stunning with her angular face shape. 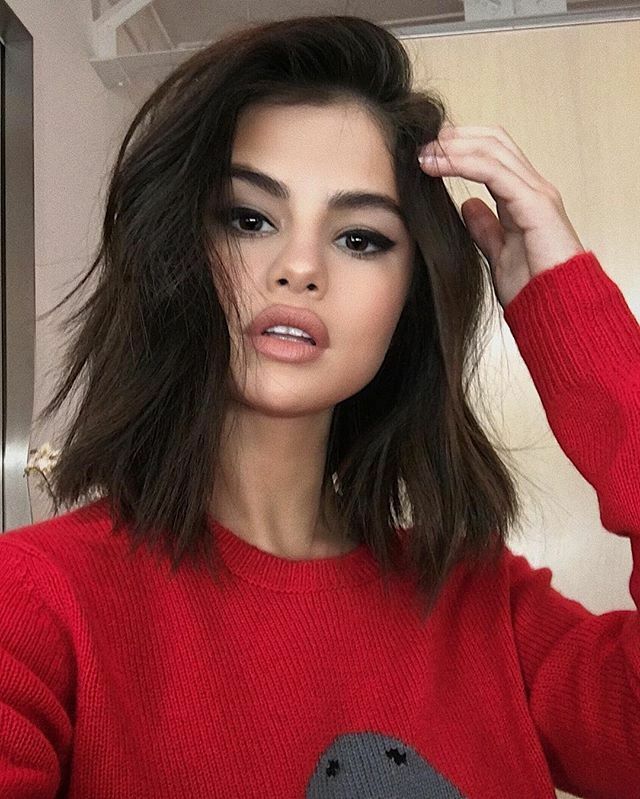 Selena's wispy layers fall with just the right amount of volume. Sidenote: can someone teach us how to take a selfie this flawless? Carrie normally sports uber long hair extensions, but naturally, her hair is short and fine. Even so, somehow she still manages to look nothing less than perfect. At first, we weren't sure how to feel when we saw Kendall chopped off seven inches of her hair. Then two minutes went by, and we realized we love her even more now for giving us more hairstyles to pin on Pinterest. She may be a redhead now, but we'll always be a fan of bleach blonde Julianne and her lob. Julianne's BFF looks great with long, tumbling tresses, but the Vampire Diaries star is also able to rock the lob style. Instead of relying on highlights and undertones, she mixes choppy waves with flipped tips to create depth and texture. Anyone else think Hailey stole this lob from Rachel Green? Don't be ashamed, Hailey. We've all channeled our inner Rachel in one way or another. Sarah doesn't have time to mess with her lob between her new beau and Modern Family. And we must say, we love a natural look on the red carpet. This darling lob haircut is perfect for a hot summer and looks oh-so-classy on the movie star. When she's not eating pizza in bed with John and balancing a baby on her hip, Chrissy spends five minutes on her lob and walks out the door looking perfect. Sigh. Emma Stone's copper hair color is unmistakable. Her lob haircut is simple yet elegant, offering a low-maintenance style that she can wear on the red carpet or a day out on the town. Jennifer's face-framing layers have been a staple in her style for years. As soon as she traded her super long mane for this mature lob, we were in full support. 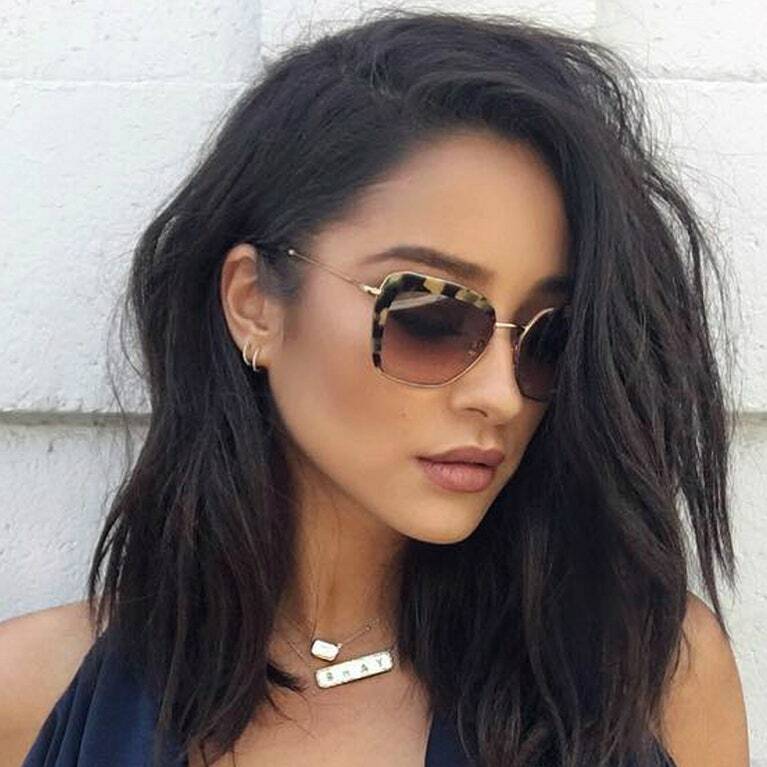 Excuse me, Shay... we could spot your fake lob from a mile away. If only our eyes were that good. The actress' stylist braided longer layers underneath and covered them with extensions to pull off this illusion. Former Miss Universe traded in her pageant curls for a simpler 'do, and personally, we prefer this lob way more. Cardi B's hair is never the same two days in a row, we swear. 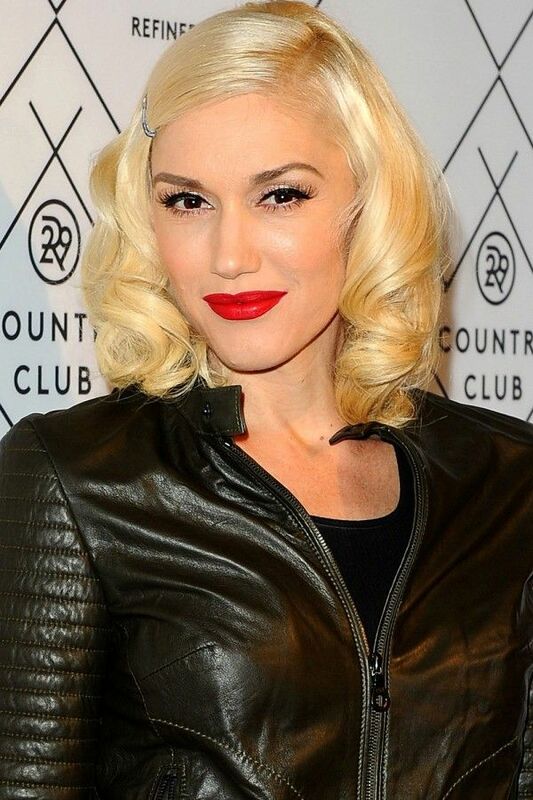 This blunt cut is daring, but we're not surprised to see her try out a new shade of blonde. We're big fans of Jessica's. She's a class act, and her signature copper locks look like they jumped right out of a Pantene commercial. We mean... that shine is unbelievable. The piecey lob is a new look for Kerry who normally sports a structured 'do not even the DC wind could blow out of place. Now this is the red lip, classic lob that we like. 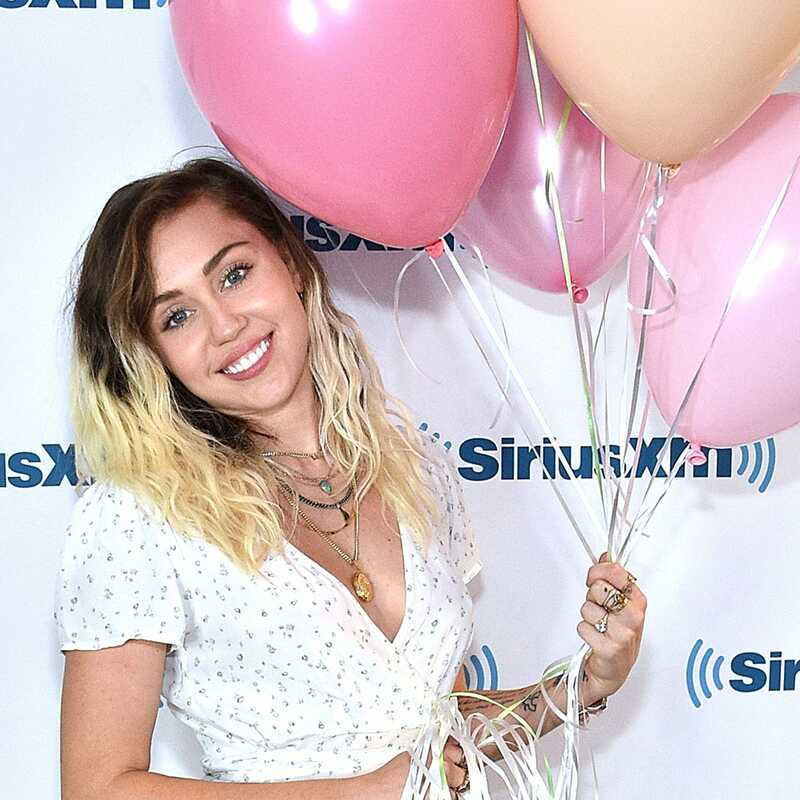 Miley's two-tone, wavy lob was dip-dyed for the "Malibu" music video because she didn't want to choose between blonde and brown. We hate making hard decisions, too Miley. Vanessa may have just come from the beach or Coachella, we're not sure. This is proof that a cute hat and beach-blown waves is the perfect combo. This is one singer who isn't new to experimenting with highlights, but this ombre is the perfect blend of blonde for her olive skin tone. Is there any hairstyle that does not look good on Rihanna? We love how these blunt bangs highlight her smoldering eyes. Rachel's tousled look adds plenty of volume and glam to her lob. Her dark roots blend flawlessly into a charming golden blonde. Aja's nearly jet-black lob is perfectly curled for a glitzy dress and is a fun change from the long, sleek hair we've seen on How to Get Away With Murder. Kim K is another celeb who hair hops from blonde to brunette and everything in between. We dig this clean-cut lob, but she'll be platinum tomorrow, so we won't get attached. When she's not whipping a mega-long pony around in a pool full of bubbles, Demi has been spotted sporting a short, tousled lob. We love those caramel babylights peaking through. Gwen has always had an edgy sense of style, and now she is working to combine class and sophistication with her rude boy roots. When Rosie's world of walking the runway collided with motherhood, she traded in her long locks for a long bob instead. Lucy's cute lob helps to accentuate the large, doe-like features that make her face so memorable. If you choose to be like one of these 30 celebs and go for the lob haircut, pair it with one of these seasonal hair colors.